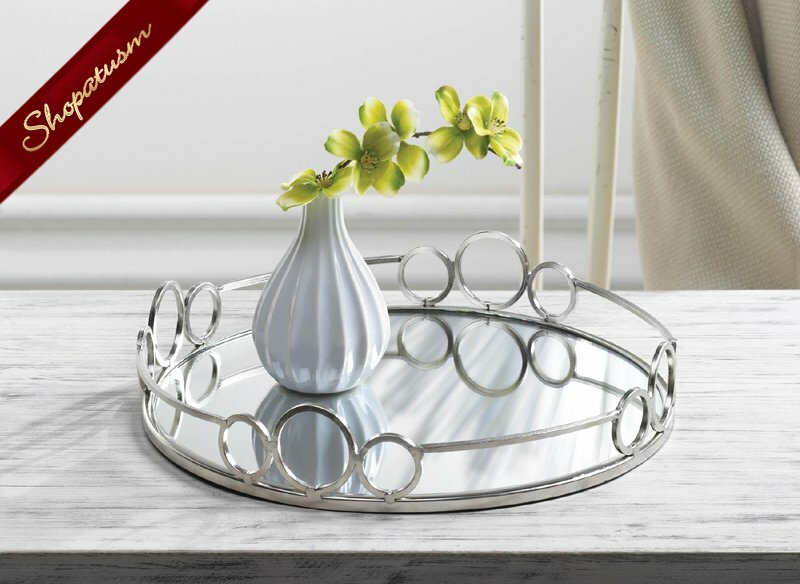 Both decorative and functional, this mirrored metal tray makes an elegant accent piece in your home. Its modern appearance is perfect for organizing those special items on your vanity or as a decorative accent on any table. Iron and glass. Measurements: 12" x 12" x 2.5" high. Weight: 2 pounds.